drinks Archives | Page 3 of 6 | Food blog! Almond Milk: Is almond milk as healthy for you as eating a handful of un toasted almonds? The great thing about almond milk is that the drink does not contain any lactose! You might be asking, “Why is this a good thing,” del it is great for people who have an allergy to lactose and cannot drink traditional milk. Almond milk has essential vitamins without any of the cholesterol of some of the alternatives. For example, if you are looking for the added health benefits of this drink you can look no further that to the brand Blue Diamond. his particular company manufactures this drink and advertises that a serving size of one cup will generally contain 60 calories and 2.5 grams of fat, however, they also note on the nutritional label that you will get 10% Vitamin A, 45% Vitamin C, and 45% of the calcium rated on a percentage of daily values. (Please visit the Blue Diamond website for accurate and up to date information on the nutritional value of their product). Most people claim they prefer to drink almond milk after having tasted it! In fact, you can use it similar to the way you would use traditional milk from putting it in your coffee to using it for cereal you are sure to find the thirst quencher an interesting change of pace. However, be sure that you have made an informed decision if you are replacing you milk consumption with the almond milk. The Oregon based Stash Tea Company has been around since the 1970’s. Their belief in providing “top quality products” combined with “providing excellent value and competitive prices” has made the company one of the best tea and most trusted tea manufacturers in the United States. Their products range from green teas to black teas and beyond; you can find ceremonial Matcha tea and loose tea leaves too! Below is a partial list of flavors offered by the Stash Tea Company, some of the flavors are produced individually while other are mixed with a complimentary flavor to enhance the tea drinkers enjoyment and the taste of the drink. 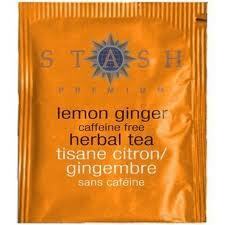 For example, the lemon tea is also offered in combination with ginger producing a Lemon-Ginger flavor! Most tea connoisseurs will let you know if a cup of tea is not brewed properly, but what if you are not one of them? What can you do to pour a better stating cup of tea? Here are some tips! Do not over-boil the water: most teas have an optimal temperature that the water should be boiled to… and not any hotter than that! Do not over-steep! Generally tea bags should not steep in the water for any longer than 3 minutes…. Why? The longer it steeps the more bitter it could become, trial and error will help you define the proper method of putting the tea bag in the water. Stevia is an all natural sweetener that is gaining more and more attention from people who are looking for a substitute for sugar. Although stevia has been around for hundreds of years and as a plant for thousands the recognition is just now gaining significant traction for consumers and for different industries. Coke manufactures are constantly looking for new flavors to add to their list and when they se that one particular product is gaining momentum is is likely that they will make use of the publicity and push for an alternative all natural sweetener to coke. In comes Zevia, the all naturally sweetened coke, what is it sweetened with? Well with Stevia of course! Below is a list of the coke producers flavors that contain stevia as the sweetener. Some claim that this product could indeed be healthier for you than regular coke and might be a better alternative for a healthier lifestyle because it uses stevia as one of the ingredients. Dr. Pepper claims that there are 23 flavors in the cola brand! But what are these flavors? Dr. Pepper will not reveal any of the “secret” flavors and ingredients that are mixed to create the blend of 23 flavors. However, in the FAQ of the official Dr. Pepper drink site they specifically note that prune juice is not one of the secret ingredients! Matcha is a Green Tea that comes in a powdered form, it usually comes in smaller amounts of finely ground green tea stored in a small container. The typical serving size of the powder is 1/2 teaspoon to 1 teaspoon in 3-4ounces of water, however this can vary. The consistency, flavoring, and foaming after whisking the drink varies depending upon the amount of each ingredient you have added. Matcha is most popular in Japan where is is used as a ceremonial tea, there are certain customs and procedures followed during this ceremony most of which should be followed to avoid insulting or disrespecting the ceremony and others. Most would agree that the flavor of this powdered form of the drink is sweeter than that of the popular green tea bags we get in the United States. I agree, the flavor is a bit sweeter but with a more organic taste to it. The drink is also a little bit thicker when made properly and since there is not much water added the serving size is much smaller.